Sidenote: I have recently become rather obsessed with Tumblr (in addition to Pinterest…) Follow me! Recently, a library customer left her laptop at the bus stop outside a library. Another library customer found the laptop and took it into the library, on the assumption that the owner might return to the library to look for it. That’s exactly what happened. The owner took a cab back to the library and found the laptop waiting for her there. She left the note above for her anonymous saviour on the bus stop hydro pole, thanking him/her and relaying the cabbie’s similar story that he shared during the cab ride. 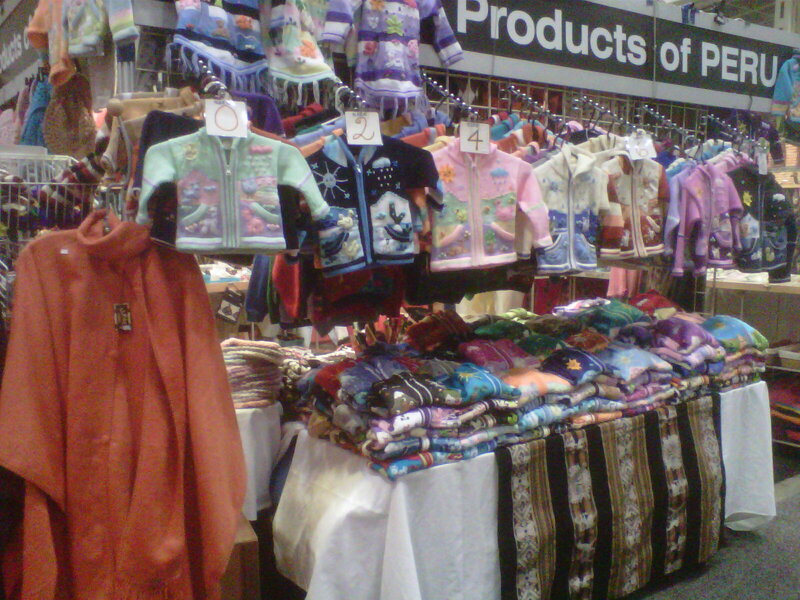 The Peru booth of hand-knits and crafts was a stop I had to make. 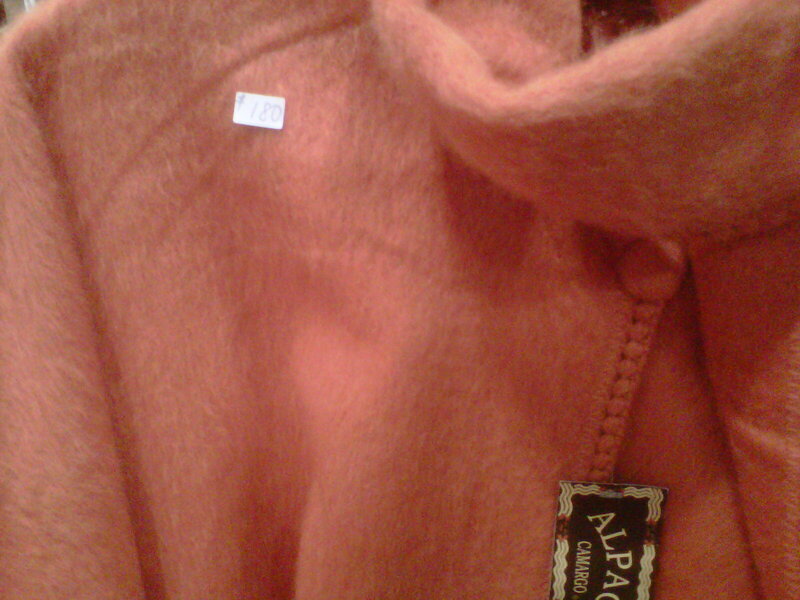 A close-up of the 100% alpaca coat. 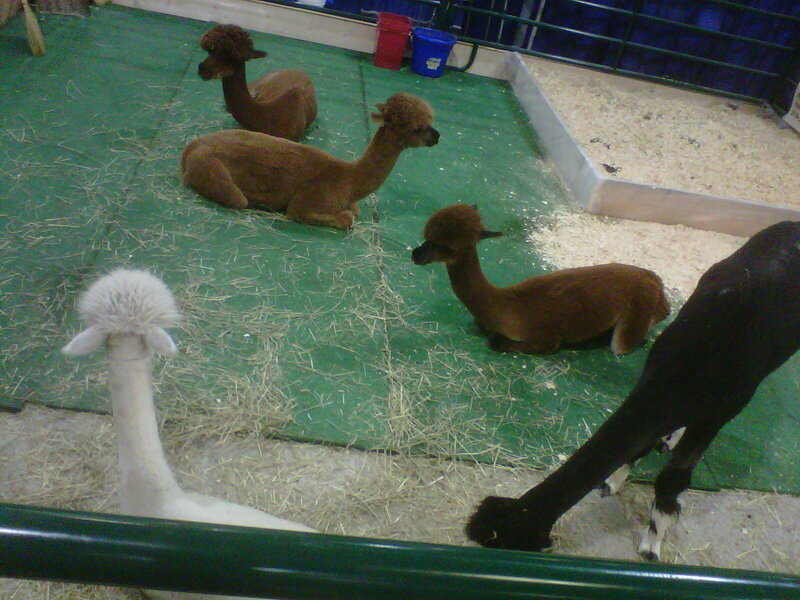 The fibres were more glorious in real life. 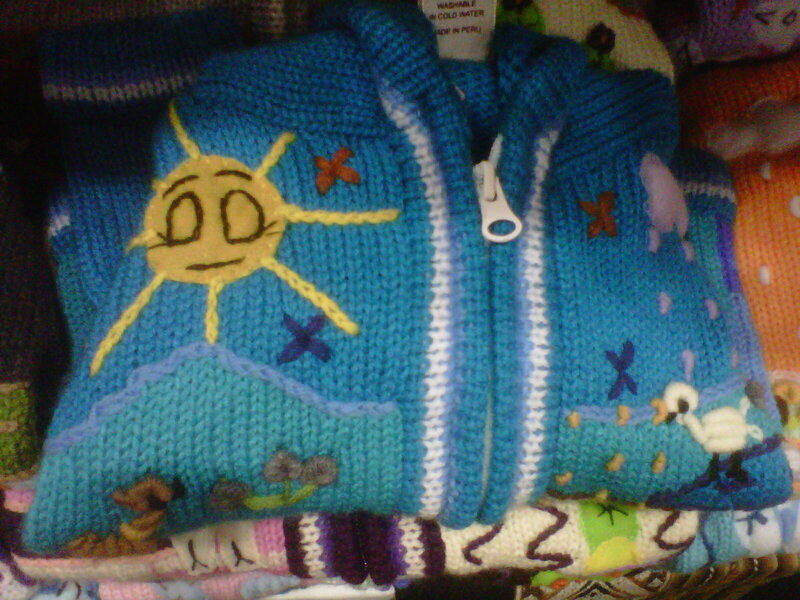 Incredibly detailed kids and baby sweaters. 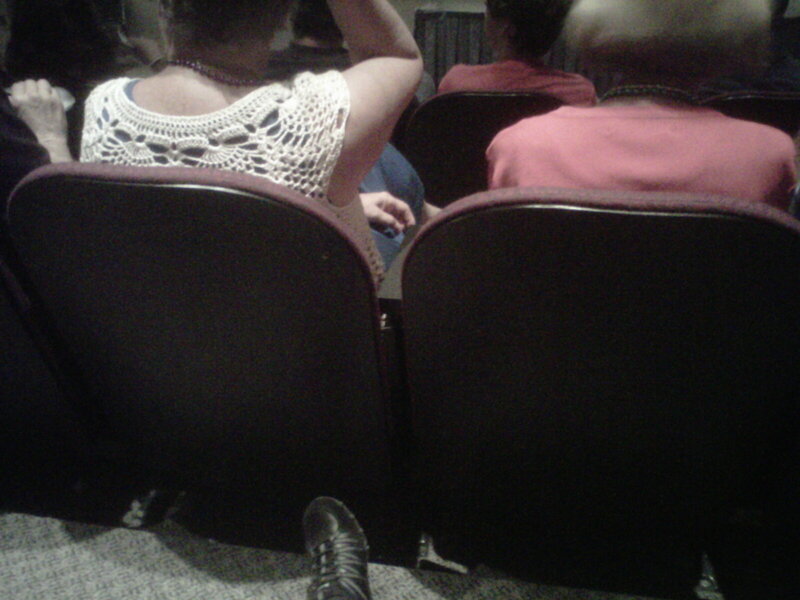 This fantastic crochet top, I mean lady, sat in front of me at the talk by Richard Palmisano on hauntings at the CNE grounds. 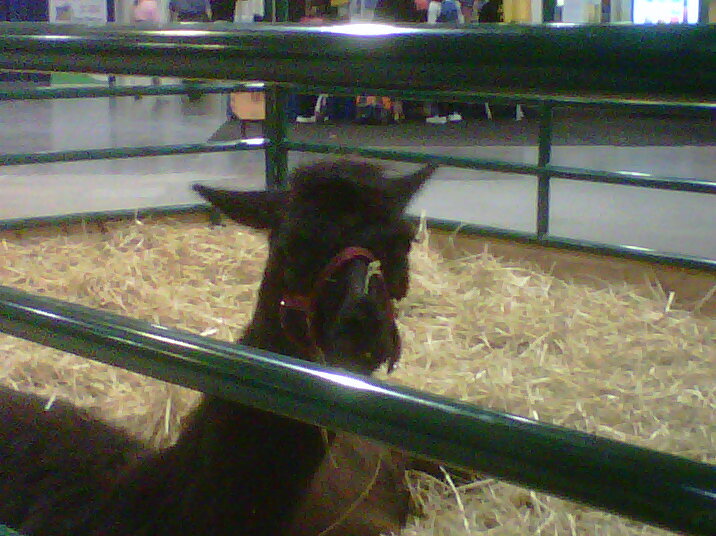 This llama was not impressed with my taking her picture. 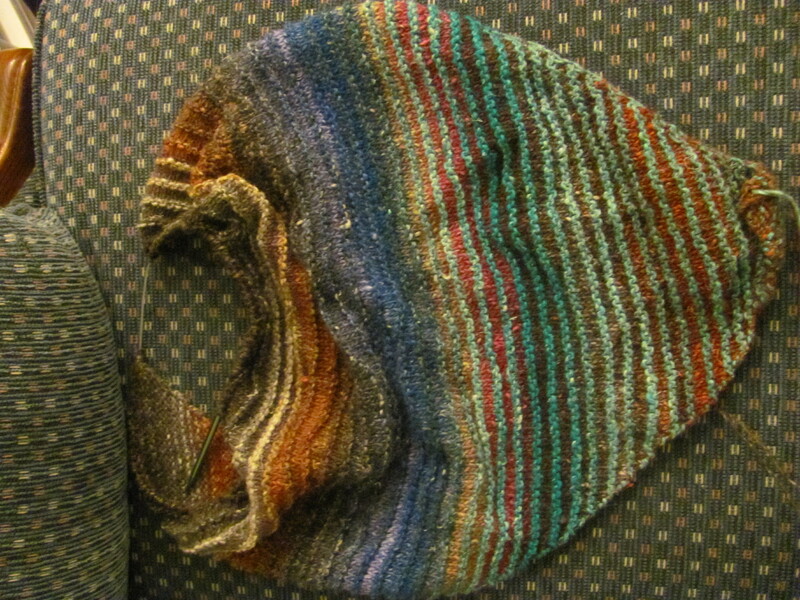 And now I’m off to finally start work on my shrug. Hope everyone has a great weekend! 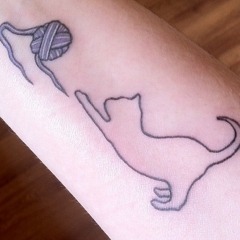 As anyone on Ravelry knows, often the site developers will have fun on the holidays. Often it’s with little icons on the homepage, but for April Fool’s everyone’s avator got headgear. The placement of mine could not have been more perfect. March was an interesting month, full of ups and downs. I spent St. Patty’s Day weekend at the hospital after taking my fiancé in for a marathon ER wait, followed by an ultrasound confirming that it was indeed his appendix, and then ultimately surgery and recovery. That same Sunday I found out that I was on strike. I spent almost two weeks bored-to-tears and foot-weary on the picket line while having to take over all chores at home with my partner in crime out of commission. Still doing most of the heavier-duty housework, but infinitely glad the strike is over. That being said, it was also a great month in many ways. The strike was taxing, but I got to see some colleagues I had not seen in months because they work at other branches, and there was something invigorating in coming together with other passionate colleagues and members of the public to defend what we value. This was of course intensified at the Knit-In, which was a highlight and a wonderful time that could not have happened otherwise. 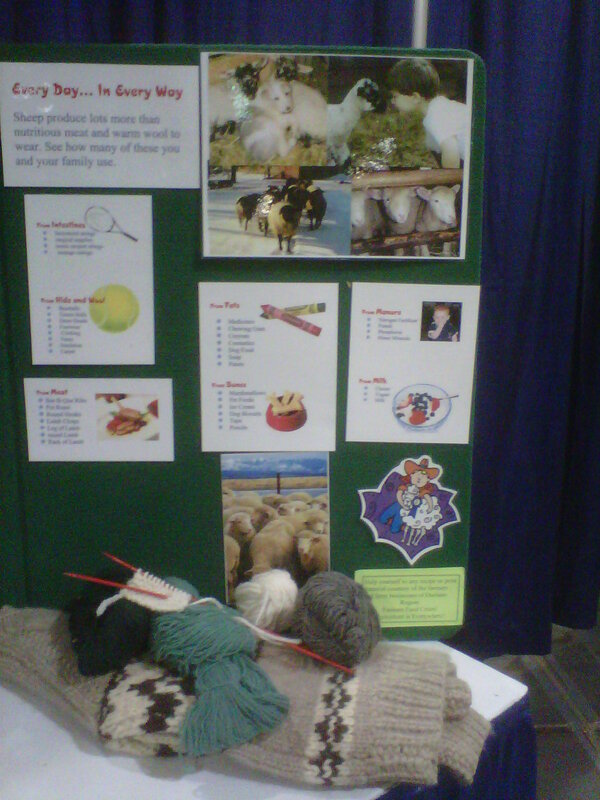 Knitting really builds communities and connections! And then the cherry on top for yours truly – meeting Wise Hilda and the Yarn Harlot 🙂 Additionally, the week before the appendix and the strike I got to meet another one of my favourite authors, George R.R. 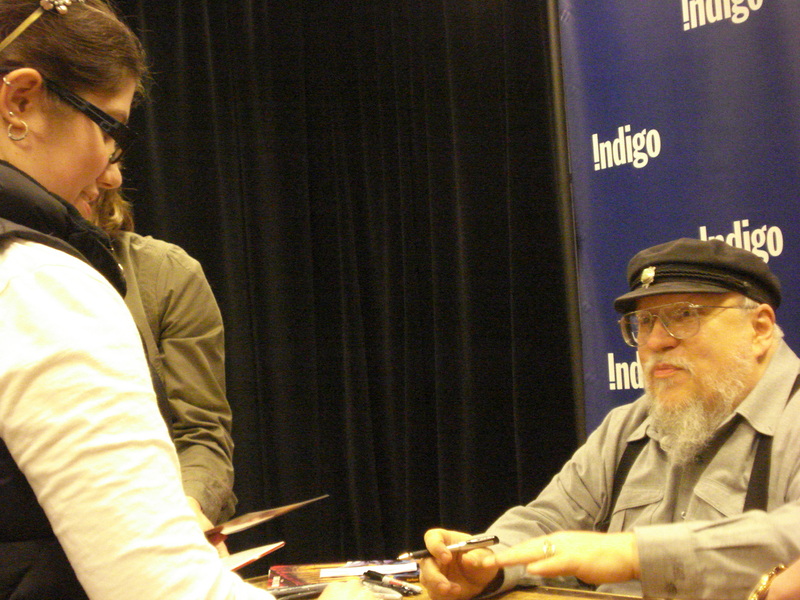 Martin (or GRRM, or his royal GRRMness, as a friend and fellow fan refers to him) at the Bay/Bloor Indigo store. I waited in line for 3 or 4 hours with a couple of other die-hard fan friends, which was fun on its own, and then we were each permitted to approach the dias (seriously, the stage combined with desk did have a dias-like quality, I’m not just being a fantasy nerd here). GRRM: Hi, how are you? George Stroumboulopoulos: There’s one thing that’s interesting about your books. I noticed that you write women really well and really different. Where does that come from? GRRM: You know, I’ve always considered women to be people. March was also the month of awesome finds and purchases. 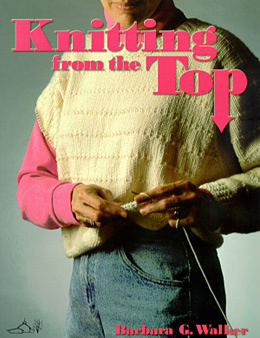 I finally found a reasonably priced used copy of both Elizabeth Zimmerman’s The Opinionated Knitter and Barbara G. Walker’s Knitting From the Top. So stoked. Don’t judge these books by their covers (especially the horrible duds on the 80’s edition of Walker’s book). This, my friends, is the good stuff. 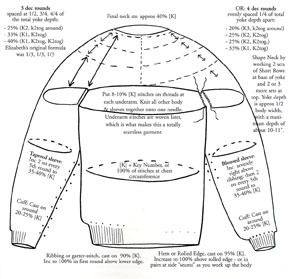 Basic garment construction in detail – no frills or fooling around here. Not that I dislike frills, but they come after mastering the basics, I think. And since I want to get into designing my own patterns, these two classic tomes are going to be invaluable. 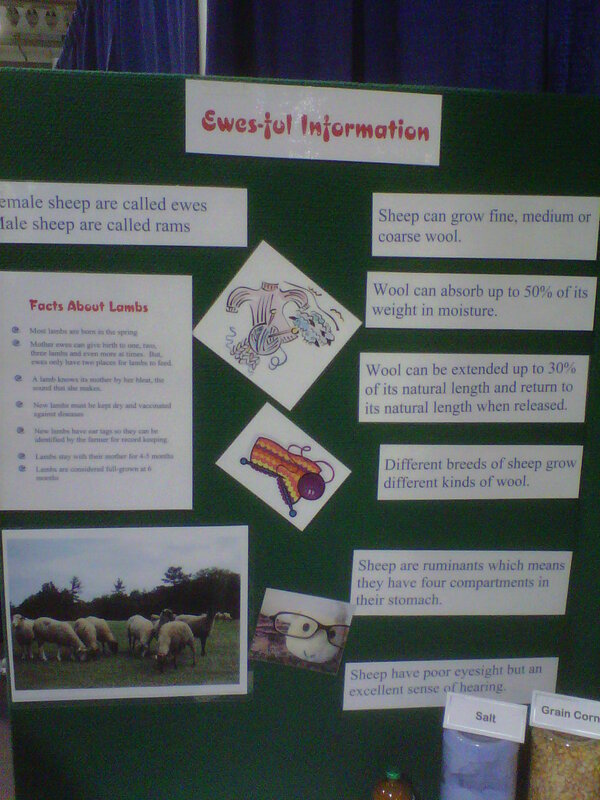 What KFTP lacks in glossy photos it makes up for in sheer information value. 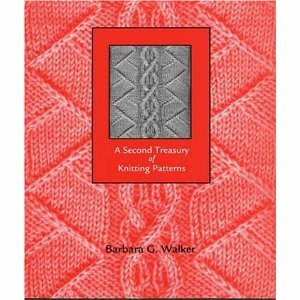 You can essentially design and knit any type of garment using the tips and directions in this book, from every type of sweater imaginable to even a wide array of pants and skirts. 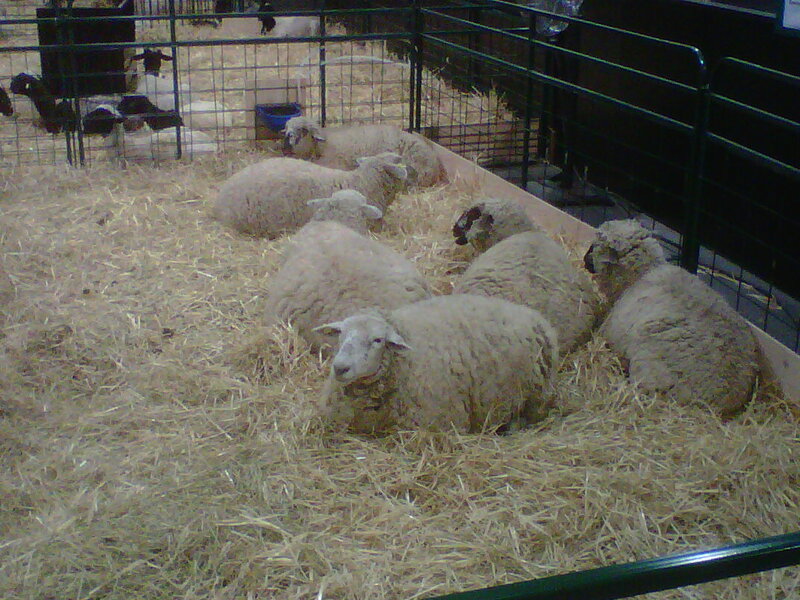 (Though skirts I will definitely do, and have done, I think knitted pants is a dated concept. Granted, fashion always cycles back). 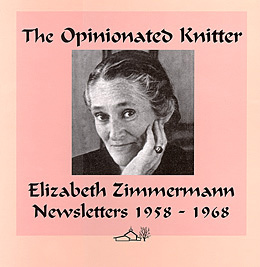 The Opinionated Knitter is essentially a collection of EZ’s Newsletters. She began to produce these after she starting her own yarn business from home, disillusioned with the world of mainstream pattern publishing and their insistence on altering, slicing, and dicing the patterns she submitted for publication. Each newsletter is reproduced in the book along with commentary and further expansion from EZ’s daughter Meg Swanson, as well as some from EZ herself. 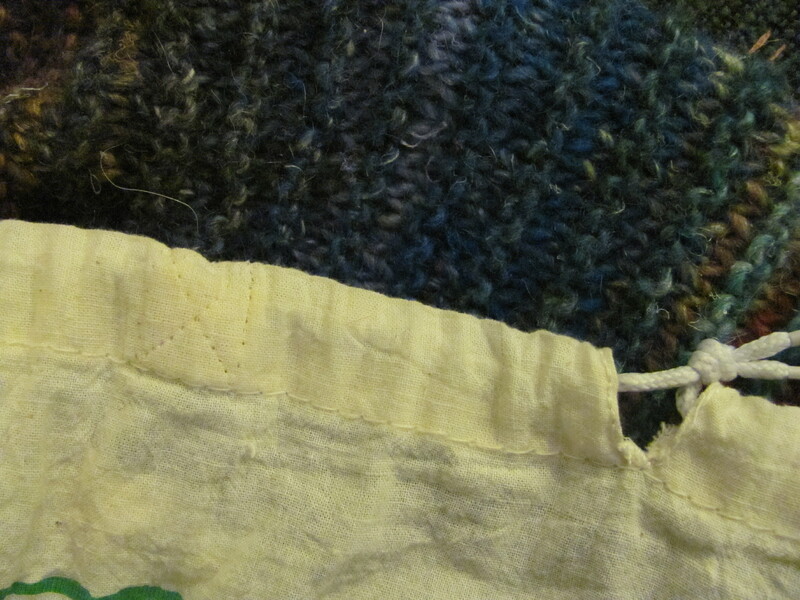 Topics vary – sometimes the focus will be on a specific technique, other times there will be directions (not patterns, an important distinction) for a specific type of garment. 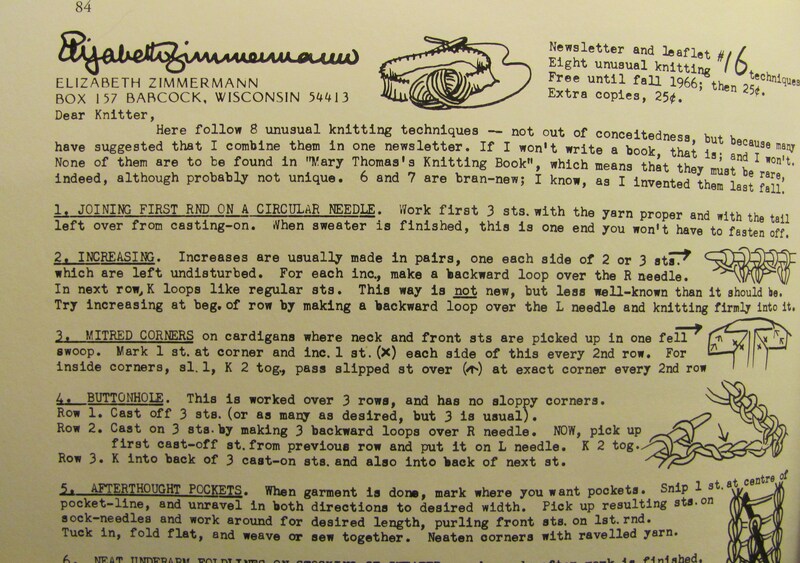 Below is an example of one of the newsletters and an accompanying diagram: this one outlines EZ’s key number percentage system for determining the number of stitches, increases, and decreases you will need for a sweater based on the wearer’s measurements. Amazing! 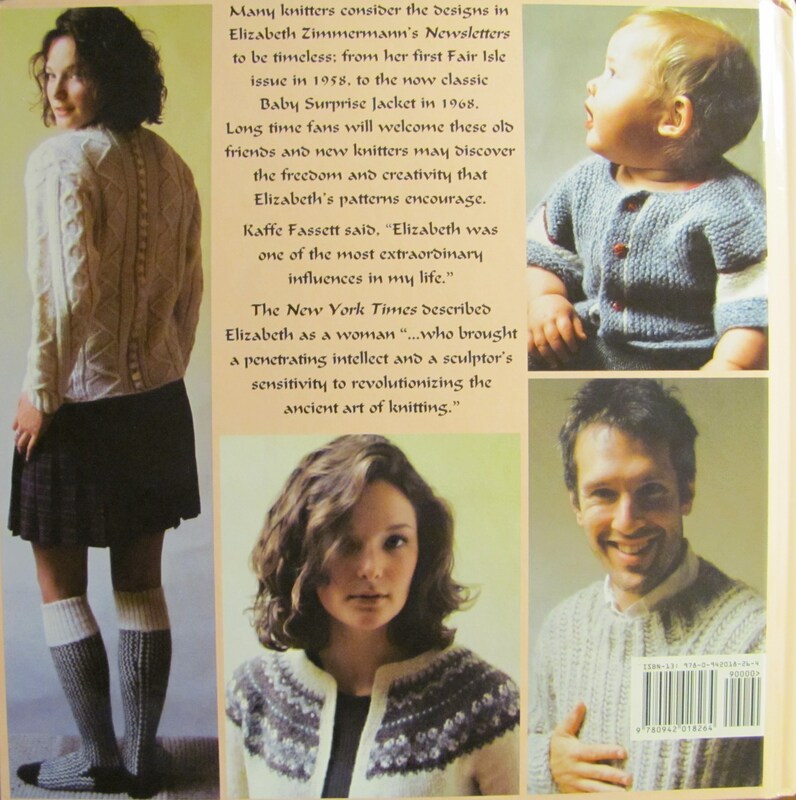 The back cover shows some of the photos from inside of garments made using EZ’s newsletters. Part of what makes the book extra special for me is its coffee-table quality. 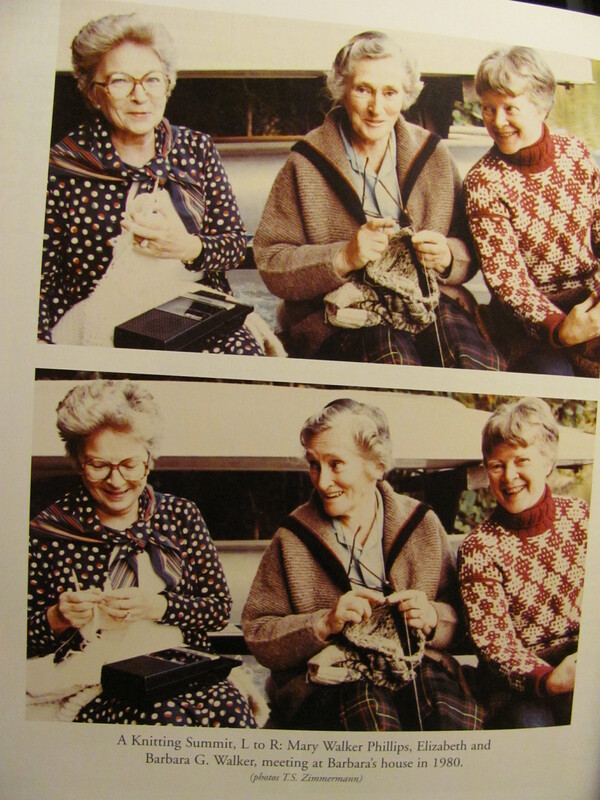 In addition to the newsletters there are lots of anecdotes about Elizabeth’s life, including this amazing photo featuring both Elizabeth AND Barbara G. Walker (plus another lady I admittedly don’t know of) at a 1980 knitting summit! I know, I know, I’m a dork. 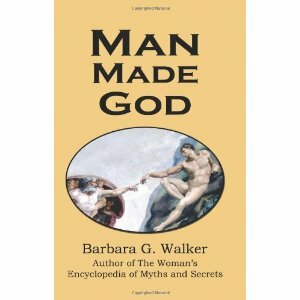 Speaking of Walker, did you know that she also wrote quite a lot of books on women’s spirituality and the Goddess movement? I didn’t. Lastly, March saw a fair bit of progress on the Lanesplitter, though not as much as I’d like. 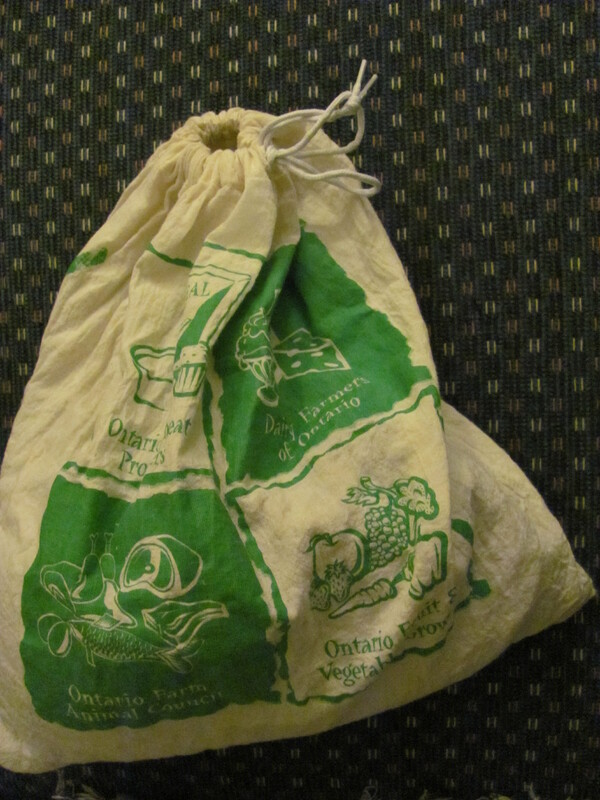 Since this is the largest project I’ve tackled yet, my sock-size project bags were starting to just not cut it anymore. Being on a (partially strike induced, partially cause I should be buying less yarn) budget I figured I must have something around the house I can use. Enter this thin cotton grocery tote bag! Now that it’s altered, it is working perfectly. 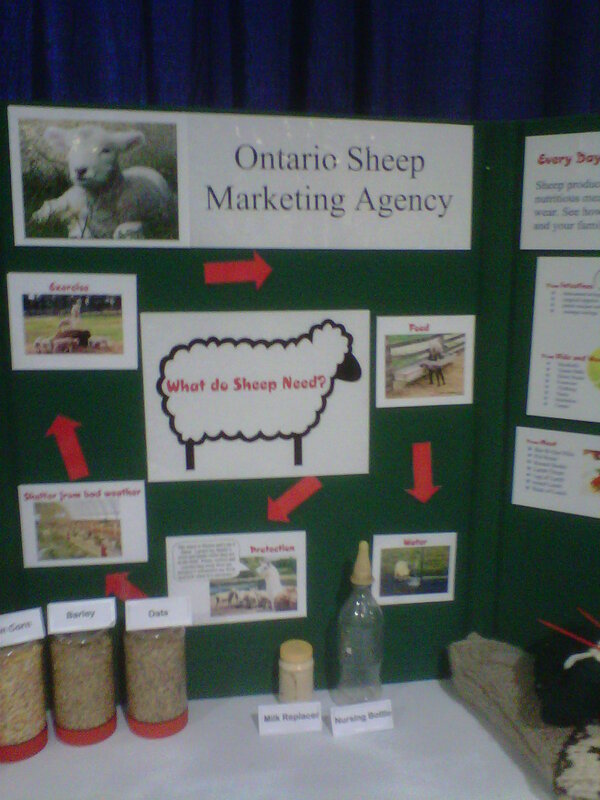 And as a bonus I’m feeling pretty pleased with my resourceful craftiness, thank you very much.